Why is Isagenix one of the top network marketing companies in the world? If you enroll two or more new members on qualifying packs in one week (12:00am Monday EST New York time, through to the following Sunday 11:59pm EST New York time), you’ll double your bonus! If you have not signed as an Associate, the bonus will be issued in the form of a Product Introduction Reward (PIR) coupon, which you can use to purchase Isagenix products. 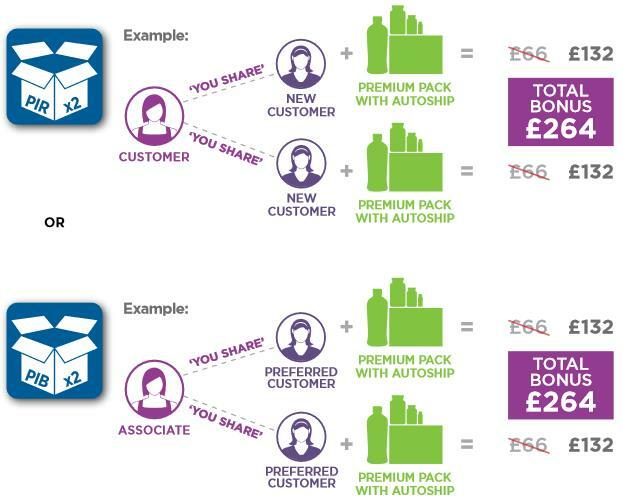 For more information on which packs qualify for this bonus, download this PDF which outlines all of the UK bonuses. As you grow your team and begin developing Consultants, you’ll earn a £81 Consultant Development Bonus on each of your first 20 personally enrolled Consultants! Earn HUGE bonuses when you rank advance to Consultant, Crystal Manager, Crystal Director or Crystal Executive! Each time you reach a new Cycle milestone, you’ll earn a bonus. Reach that Cycle level a second time and you’ll earn that bonus again! Each Cycle you earn is worth £44.26. 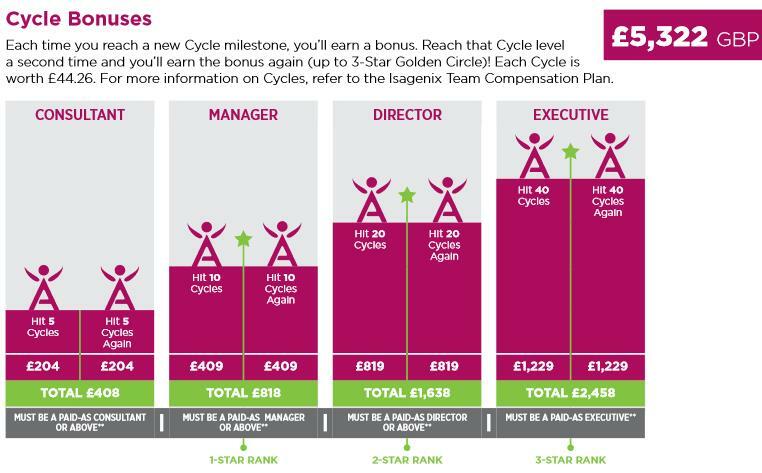 For more information on what a cycle is, refer to the ‘Team Bonuses (Cycles)’ section on our business opportunity page. Request a call back or contact us today! Alternatively, download this PDF which outlines all of the UK bonuses.